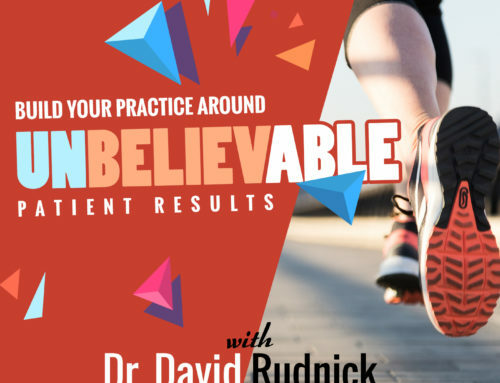 Welcome back to episode number ten of the ChiroPractice Pro Podcast. On today’s episode, we discuss standard operating procedures to maximize not only your patient care but also your business operations to increase your profits. Today’s guest is Peter Eldridge, the Head Software Engineer at Chiropractor’s Pro. Peter is an engineer, a pilot and has spent time in the military making him an expert on Standard Operating Procedures or SOPs. 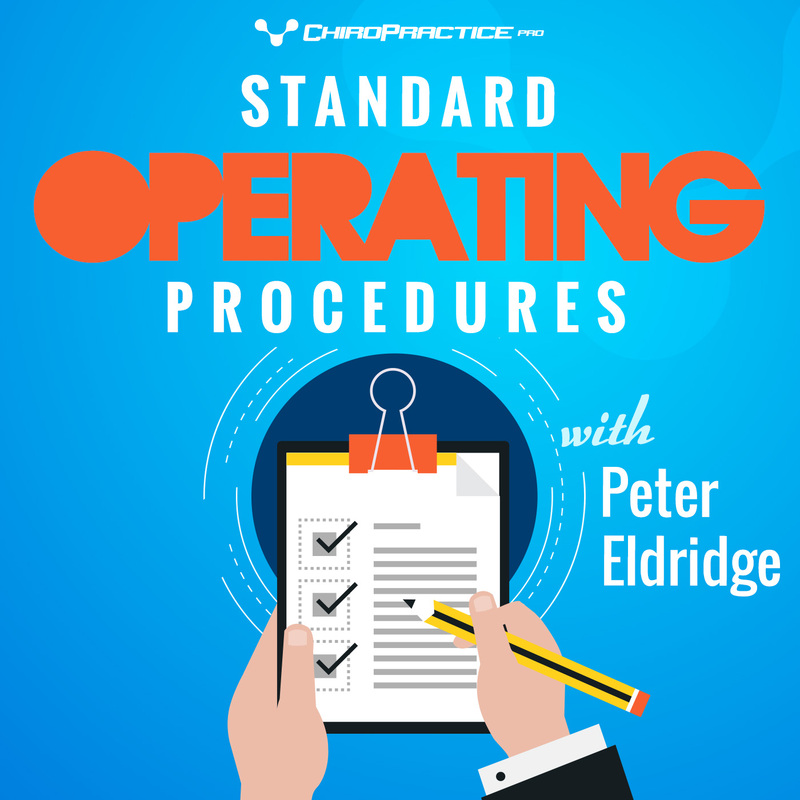 To find out more information about standard operating procedures and to download your quick tips to get started utilizing standard operating procedures in your practice, visit us at ChiroPracticePro/episode10 (that’s the number 10). Thanks again for joining us and let’s get started with Peter Eldridge right here at the Chiropractor’s Pro podcast. 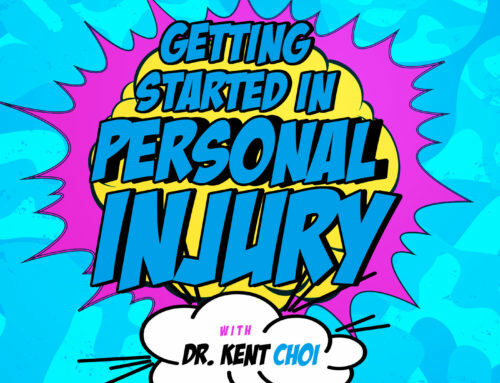 Alright Pete, welcome to ChiroPractice Pro podcast. Welcome back here on episode number one, now you’re on episode number ten. Thanks for joining us. Peter Eldridge: Thanks for having me. It’s good to be back. So one thing what we’re doing at the ChiroPractice Pro Podcast, since Pete is our Head Software Engineer at ChiroPractice Pro and Co-Founders, he’s going to be joining us every decade episode. 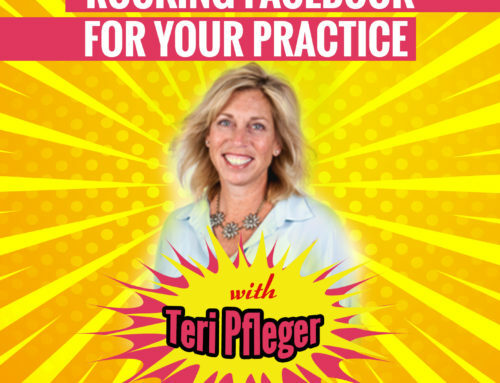 So, 10, 20 and 30, he’s going to be here and we’re going to be talking about something new and how to integrate different ChiroPractice Pro into your practice. Today we’re going to talk about Standard operating procedures and Pete is a very good pilot. I’ve flown around the country with him and he does that very well. One of the big things that pilots have are Standard Operating Procedures. Pete does a little bit about being a pilot and the importance of a SOP or Standard Operating Procedures. Peter Eldridge: Sure. So, being a Pilot obviously is a big responsibility and you don’t want to take that responsibility lightly nor do you want to forget procedures or steps in any situation. As a pilot, there’s a procedure for everything that we do. From the minute we walk up to the airplane, there will be a checklist that says hey you need to check the wheels, the wings, the control services, the tail and operation of everything that you’re going to use before you even step into the airplane. We check the gas to make sure it does not have water in it. All of those lie on a checklist. Once you get into the plane, there’s a checklist to make sure you start the plane correctly. It’s delineated in the operating manual for the airplane. So I know when I get into the airplane, I’m going to have a checklist in front of me that says these are the steps that you need to go through to make sure that you’re operating the plane correctly. When you get into an emergency, there’s a checklist that tells that you need to establish this specific glideslope so that you have the most glide that you can if you lose your engine when you need to search for a spot to land. All of those are written down, study those and you have to know exactly what and when you’re doing that. If you forget, you always rely on that checklist to go back to. Thanks a lot. When we were employed direct at 2005, we worked on the ground with UAVs (Unmanned Aerial Vehicles) and one of the things we have to do is we had to say out loud every procedure in the manual. Every procedure on the checklist we went through it so it can be recorded just in case there was an incident. So I know even at higher airline level too hey have to say them out loud so they can record it. Peter Eldridge: Again, both of us were in the army, and you know as well as I do that there are standard operating procedures for everything that you do from how you wear your clothes to how you do your job. All of that is written down. So, no question about what you have to do and how to do it. And for a pilot, I know sometimes you have your regular procedures and those you can read through, and you kind of refer to it. But your emergency procedures are memorized right? Peter Eldridge: Yes. When something happens in the airplane, you have got to be able to react and you know exactly what to do if you lose an engine, if you can’t find the airfield your landing at, or if any type or emergency comes up, you always memorize those. You know exactly what to do if you stall the airplane. Those types of things you always have a type of procedure you can fall back on. You drill those when you’re training and it’s important to do that. We exercise those procedures so when we’re in that situation, we can react properly. How would you bring this around in a chiropractic office or any professional office and since I consider you an expert at Standard Operating Procedures, how would you bring that around to each day in a chiropractor’s office? Peter Eldridge: What’s important for a chiropractic office and things I seen in offices around the country that we’ve worked with is that there are some who can do it well and some don’t do it well. The people who are profitable or who are executing well usually have a procedure set up and in place so that when a patient makes contact with that office , when a new staff member comes on, staff member engages with a patient, when patient is leaving or coming into the office or contact outside of office… All of those things are important that you are drilled on that you know what you want, your interface with your patients to be, the more rehearsed, the more genuine that contact is with your patients is going to lead to better compliance, going to lead to a more profitable business, and when the patients and staff know what to expect then there’s not going to be any questions or I guess, any chaos in your office. You’re going to know for each thing what to do. Same thing we talked about emergencies. What happens? Are you prepared when you lose internet access? Do you know what you’re going to do? Do you know what to do when you lose electricity? If there is an emergency in your building: We’ve seen a lot of these school shootings and these type of things. If something like that would happen have you thought or talked about it? All of these things are important – to think and talk through and have a plan for it. And the other thing too as far as emergencies, those are big emergencies too, but what about if a patient has a heart attack or showing signs of stroke, do you have those in writing as well? I think that’s a big deal when it comes to malpractice. Did you have SOP and did you follow it once the incident occurred? If you could say: “This is my SOP when my patient had a heart-attack, we immediately called 911. We began CPR and then we had one person go upfront and we followed exactly our SOP. I think it would be very hard for someone to bring a law suit against you to make it stick. Peter Eldridge: You know, emergencies are one thing but what about everyday things? WE can talk through procedures that you should have when the initial contact of the patient. 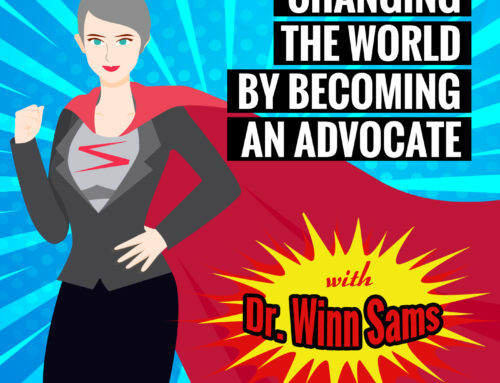 So when the patient calls you, do you have a procedure to get them engaged with your practice? For instance, do you take their name, phone number, email address and do you immediately follow it up with a welcome email? Do you invite them to go to your website where they can schedule their first appointment? Do you schedule the first appointment on the phone? Do you send them to your website to fill out their intake paper? So there’s procedure right there for initial contact. As we walk through this type of patient, we go like on an initial visit. New patient that comes in, what are your staff doing to welcome them in? Is everybody know exactly what they’re going to be doing when new patients walk in? Are they going to be filling out paperwork? Do you have a kiosk there where they are filling out the paperwork on the computer? Are you giving them information on other services that you have whether you’re doing massage, acupuncture or other things that you offer that is a great point to show them that you’re not just doing the chiropractic that you’re doing more than that. What about introducing them to supplies and different things you have that may be available to them? When a returning patient comes, you should have procedures in place for checking people in. When they first arrive, are you checking insurance? Make sure it is correct. Are you collecting their copay or on doing other things? Each stage of that contact with your patient, you should have a procedure for. I think one of the things too, as a Doc, is that you don’t have to be the only one that does or puts together an SOP. It may be your front desk office staff that’s already got their procedures in place that they do. What you can do is have them put those in writing. Have them put the SOP together. Then when you bring in another staff, because it’s their procedure, then you can go through it with them. And you can actually see what’s happening: any corrections, or like what you said before, maybe an upsell to a massage as well. This is a good chance for you to start bringing income. I think this is exactly what you’re saying. The buy in of your staff – that’s kind of what they did in the army with us- anytime we had to do something more than once, we were writing the SOP, some were routine of command, but we wanted to follow it to put it in place. Peter Eldridge: Yes. So we kind of talked about patient interaction. 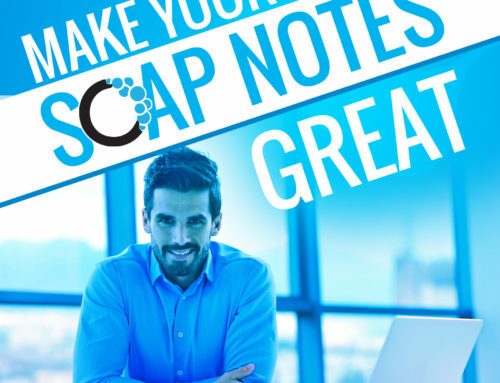 You should also have SOPs for your business. We do want to care for the patient, but there’s also the business side of chiropractic. I think a lot, especially new doctors, can fail because they’re not doing business correctly. I think it’s really important that you not only have that patient interaction procedures, but you also have business procedures on hand. You’re investing basically in three things: your product, system and people. If those three are operating correctly, then you’ll going to have to be successful. The system part of it is the procedure on how you’re doing your business. You want to make sure that every day, you’re checking to make sure you’ve gotten paid on your insurance claims. Maybe weekly you’re double checking that and making sure that your ARs are done. Every day you’re going to have procedures to do every week, weekly procedures, every month and every year. You’re going to look back and evaluate what you have done for the period of activity. Then you’re going to plan for the next activity. All those procedures should be written down and followed. So how can we take SOPs that we talked about what are some of the tools in Chiropractor’s pro that we can start utilizing to make these SOPs easy and easy to follow? Peter Eldridge: I think there are several different tools inside Chiropractor’s pro that can help on a schedule. We have spot on the schedule where you can push a button and send an email to every single person on the schedule for that day. We also have the reminder emails that go out every day or before everything – that’s part of a procedure that you have. That one’s automatic for you. Maybe at the end of the day, you want to send a thank you note to all your patients – you can do that with one click. So that’s the schedule. There are also individual spots on that where you can make notes for the patients. If you need to check something for the patient, maybe check their insurance, update something and even put a note on the schedule that will remind you that says hey, you need to do something with this patient. There are also notes for the day in general. If you want to plan a certain thing on Monday to check on a certain thing, you can put a note on every Monday, first Monday of the month, or whatever you need to do, you can put that right on the schedule. It will remind you to do that. So that’s the schedule. If we move on down to the Reports…. Reports are powerful in Chiropractor’s pro for this reason: Not only can you see what’s happening in your business. You can run a report on New Patients that you have over the last week, month or year. If you had a procedure after the first visit, a patient receives an email. And after the second visit, maybe they receive another email form you. Maybe after the third, fourth, etc. I did a letter for you thanking for their service. Your compliance rate is going to go up if you have that constant contact with them and if it seems organic to you, your business and patient. So implementing those procedures in there… Talking about reports, you can pull a report on New Patients, Specific CPT Code that you charged, or maybe you have something that is more special to you and when somebody does that, you want to make sure you thank them for it. All of these kinds of reports can be done weekly, monthly or yearly type of basis. The link from the reports to the communication area is what makes these reports so powerful. They are not just static reports; you can use those reports to push through communications area and have standard emails. Part of your Standard Operating Procedures through your practice is to have these emails in place. So you got a welcome email for your patient. You’ve got a first-visit email and other types of emails that I’m going to help you and your staff to keep those patients because there is compliant to what you’re doing here. What I like about that too, as a Doc, you think that through and I can make up an email that has the exercises that I’ve talked about first visit. Part of the SOP is to have a standard emails. You’ve got to have the welcome email, first-visit email, AR email and other compliance type of emails that are going to help you and your staffs keep those patients compliant to what they’re doing. The things what I like about that too, as a Doc, I can make up an email that has the exercises that I talked about at the first -visit. So on the first-visit, I always do control breathing with the patient. So I can have an email that I can send out to my new patient and say hey, this was what we talked about today in the office. If we automatically have their first name put in there so it looks like a personalized email for me. This is what we did. Here are the exercises. And here you can watch a video that you can link it to your website so the patient comes back to the website and checks that out. If for some reason, you want to have patients scheduling online, we can also make sure that we’re getting them an appointment set up. Peter Eldridge: So there are many different ways you can use that link between the reports and communication area. In the new system too, we also have text. So you can immediately text somebody, if you have or want to say “you know what, thank you for today” something like that. You can text somebody not directly from the program. All of those things will help you be more successful not only as a Doctor and Care provider, but also as a business person. That’s perfect. So that the way we use SOPs and Chiropractor pro. Pete thanks for joining us. Got anything last words that you want to leave for episode 10? Peter Eldridge: No. If you have any questions about how to establish procedures in your office or have any questions about any of the different features ChiroPractice Pro, then just let us know. You can send us or me a message at josh@chiropracticepro.comor you can head to our site at http://chiropracticepro.com/contact/. We’d love to talk with you and walk you through any of this information. Also along with this we’re doing a quick tip sheet on doing SOPs in your office, how to do this and examples if some. So Pete thanks again for joining us for Episode 10. We’ll see you back here at Episode 20.